Haven’t had a chance to watch this yet but you HAVE to watch the DrupalCon Prague Driesnote. So glad Webchick is doing this. Every week we can read this great summary of what is going on in Drupal core! An interesting new funding project. Built by Drupal Developers, for Drupal Development. 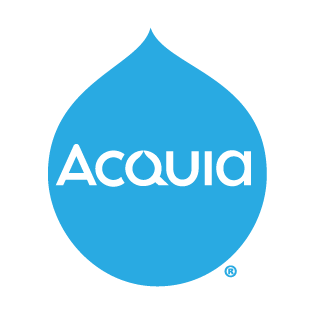 Try Acquia Cloud Free! Get the tools our developers use daily, for free. With Acquia Cloud Free, you can experiment, explore and test your site with confidence, all on the most secure, scalable and reliable Cloud platform. Sign up now to test before you invest. No credit card required, no expiration date, so what do you have to lose? Sun(Daniel F. Kudwien) offers a very reasoned and pragmatic perspective on Drupal 8, Backdrop and moving forward in a positive way. In this video Kendall Totten covers the Drupal 8 mobil initiative in style. Be sure and check this and the rest of Mediacurrent’s Drupal 8 videos. Drupal 8 Ready: What’s New for Developers? Another Drupal 8 series worth a read. This one is from PreviousNext. Drupal 8 Ready: What’s new for Site Builders? Drupal 8 Ready: What’s New for Themers? Great list of settings that those new to Drupal may not be aware of from Bryan Braun. A useful list of upgrade tips from Derek DeRaps of Mediacurrent. The original Angry Themer, Morten DK shares his naked fields tips for forcing Drupal to output clean HTML markup. I nice recap of DrupalCon Prague Day 2 from Monarch Digital. Tutti fan’ Drupal - Welcome to Drupal(Con)! Robert Douglass and jam. Always a fun time. Also great performance tips for Drupal 7 in this DrupaCon talk from Wim Leers. The Rules Module Moves On - Introducing New Features! October 19th, 2013 in Atlanta, Georgia. Be sure and get your session proposals in soon. To deliver leading edge web, digital and print communications that are compelling and consistent in brand, quality and message. You'll be both creative and technically minded, with great problem solving, analytical, multimedia, and project management skills.